When I turned 27, I started soul searching really hard because I found myself nowhere near where I thought I would be. I hadn't reached a single milestone I felt I should have, and as I got farther and farther away from my days as a high-school athlete and an artist, I lost touch of who I was and what I was good at. So, I did what any 27 year-old should do. I started taking violin lessons, and then piano lessons, and then acting classes. I didn't know what I was doing but I knew it was helping me to remember that I was good at something. As I turned 30, everything shifted in my mind; I no longer had a 2 in front of my Birthday to make it feel like I still had time. My acting coach encouraged me to buy a camera so that I could send out video auditions. I had somehow made it through my whole life never owning a camera or testing it out as an art medium. When I got my hands on one for the first time, I knew at that moment I had found what I was going to do. 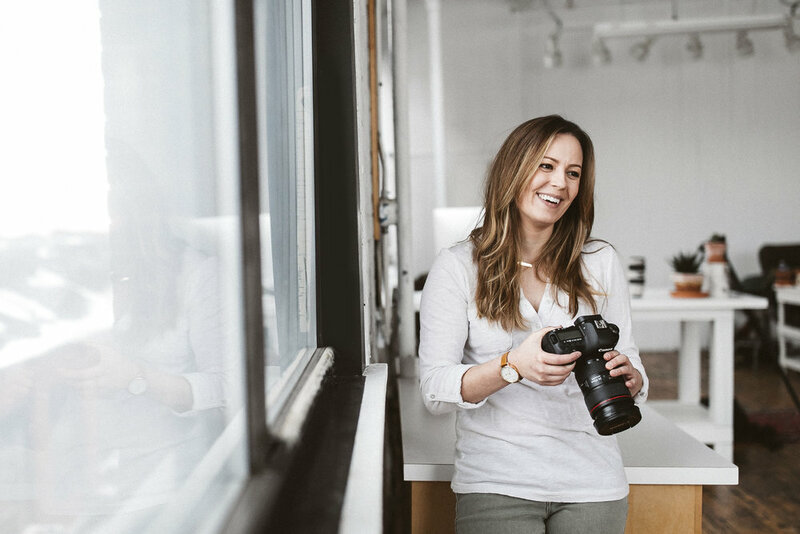 Taking a leap of faith, I quit my job and with no savings, I took out 3 credit cards and bought everything I would need to start my own photography business. That year I put my head down and taught myself everything from Photoshop, to creating a website and portfolio. After a year of teaching myself the ground work, I starting shooting video and focused on perfecting my craft as a cinematographer. The driving force behind all of my work is my obsession with emotion. Emotion is the only thing that matters in this one life we live. This work has taught me that life is fleeting. We don't know how long we have here, and I try to film everyone I love as much as I can, because we never know the last time that we'll get to see that smile. I wrote this little quote to go with a short commercial video I made, but it rings true far beyond any commercial gimmick: "We are not immortal... But my videos are." Darren joined us in 2012 as a second shooter and quickly became a primary shooter. He has over 8 years experience in motion graphics, freelance cinematography, and 3d modeling. Darren's strength lies in his ability to tell each couples individual story. Wedding cinematography has quickly become a passion of his. The care and dedication he puts into each project is truly valued by each client we work with. Brad joined our team in 2016 as a second shooter and has now moved up to a primary shooting. He studied Industrial Design at Pratt Institute where he developed his eye for aesthetics and experiential design. His passion for art spans many mediums including woodworking, painting, 3-D design and visual effects. Along with his love for the arts, he loves the outdoors. He spends his free time hiking, paddling boarding/kayaking, mountain biking, and rock climbing. He and his wife Laura welcomed their first baby last year, Sebastian. Chris started as a 2nd shooter with the team in 2017 and has since started primary shooting. He draws from his experience at Pratt Institute honing his creativity via drawing, illustration, painting, and printmaking. Chris has a passion for storytelling that crosses from those 2D skills into his film making, giving each film an artful and personal touch. When he's not behind the camera, you can find him in his studio drawing and soaking in the latest episode from one of his many favorite podcasts.